What an album. I can finally discuss it. I first heard the whole thing just over a week ago, and though it feels like it was only yesterday because the songs still sound so new (only having heard the studio versions once, well a few times now) it also feels like it was aaages ago because I’ve been keeping so many thoughts to myself for seven whole days! Quick reminder: Last week I went to prolifica management in London to listen to Gameshow before it’s release, so the first time I heard the whole album was in their office. I was trying to take everything in and pay attention to every little detail, as I knew I wouldn’t hear it again until the 14th (I didn’t know about the #twodoorlisteningparty at the time). I don’t know if that was a good thing or not because it kind of takes away from purely enjoying the music, but the songs were so good they kind of took over anyway. So, here comes my totally biased review of Two Door’s fantastic third album. I won’t discuss Are We Ready? (Wreck), Bad Decisions or Gameshow here as I have already commented on each of them as they have come out. I think they’re all great songs, my favourite being Bad Decisions. I had imagined the album being more like Gameshow, probably because that’s what the band chose as an album title, so more of a rock album in comparison to Tourist History and Beacon, but it actually sounds a lot more like Bad Decisions which is fiiine by me. This isn’t really a review, and I have actually tried to be as unbiased as is possible. This is simply some of my thoughts on each of the unheard tracks! Ordinary – This was the first new track I heard whilst listening to the album, having already heard Are We Ready? (Wreck) and Bad Decisions. Though I was really impatient to hear something new, I listented to them first. I figured that’s what the band would have wanted, as that’s the order they chose to have them in on the album. The song wasn’t too unexpected, it kind of made sense in a way, considering what we’d already heard from the album, and based on the title I’d imagined something very neat and precise, and I think the song is totally that, especially the vocals and the synths. It’s a great song, I love it and it became an instant favourite. As I mentionned in this post, some were what I’d imagined, some were a slap in the face. Well I was pretty pleased with myself when I heard this one, it was one of the tracks that had me think “I know my Two Door”. Though I couldn’t say much at the time, I was delighted when they played it live and released the studio version of it as it was one I was really looking forward to hearing again! It’s full of the band’s new sound, yet it’s still very much them. Oh the irony of a song called Ordinary being so extraordinary.. Lavender – There is so much to be said about Lavender. What a song. When I first heard it I was very unsure about it. The beginning is so unexpected, Alex’s voice only recognisable because I knew it was him. I found the pre-chorus very Two Door, especially the “I won’t complain/I might just stay” parts. Not in a Tourist History/Beacon way, it just had their sound. The chorus is the part that had me unsure. It seemed like such a strange direction for the song to take. We’d had the slow beginning and the Two Door sound, and suddenly this almost boyband like chorus kicks in? The “oh oh oh oh” and the acoustic guitar parts are very pop anyway! And yet by the end of the song I wanted more of it, in a kind of guilty pleasure way. I remember actually laughing to myself at that point. 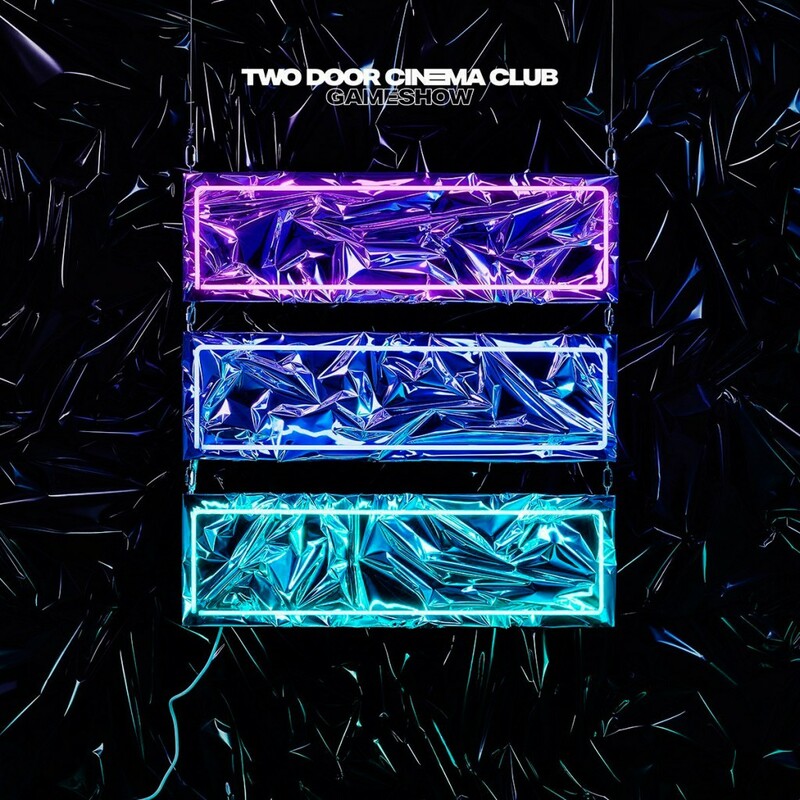 When oh when have Two Door ever been a guilty pleasure. The bridge kicks in with quite a rock guitar riff, and then we’re back to boyband Two Door. If they don’t do synchronised dance moves to this on stage I’ll be very disappointed. So many feels. Fever – Well as you know, Fever was the correct answer to our competition question! I thought it was a good question because the beginning of the song is so calm, and I didn’t think you guys would associate it with a song called Fever, I know I wouldn’t have anyway! The beginning of the song just before the singing starts was kind of what I had imagined, but overall I found the song slightly slower than what I’d expected. I had imagined it sounding a bit like Someday, don’t ask me why. Still, I think it’s a great song, I particularly like the pre-chorus and all the funkiness going on during the chorus! Invincible – I found the begining of this song also along the lines of what I had expected, quite slow yet you could sense something powerful was on it’s way. The rest of the song however was quite a surprise. It had much more of a romantic vibe than I had imagined. I could almost see Alex playing it alone on a piano, with a single spotlight on him, yet those guitar riffs really make that song what it is. Sam, what a man. It must be an Irish thing! Good Morning – I hadn’t given this track much thought to be honest, so I didn’t know what to expect at all. I thought it had a very familiar Two Door sound, especially the bass and the vocals during the chorus, and yet it totally fits the new direction they’re taking. The synths in the pre-chorus have a very refreshing sound, I really enjoyed it! All in all, a good morning song. Surgery – I found the beginning super weird, but after hearing the other tracks it kind of made sense if you know what I mean? It fits that moment in the album perfectly. It’s not for everyone, but boy I was so impressed by the verse. They’re taking so many risks with this record! It’s more of a dramatic kind of song in my opinion, espcially with some of the notes in the pre-chorus. I find it a very sparkly song if that’s a thing? This is mainly due to the guitars and the synths, the whole thing kind of has a dramatic feel to it too but in a really strange way. Like we were listening to something we shouldn’t really be listening to (or am I saying that because I’m Irish? Sam?). And that guitar solo..wow! Je Viens De Là – I absolutely love Je Viens De Là. From the first second I knew it would be a favouirte, I cannot wait to hear it live and dance along to, it’s going to be huge. The whole song is just brilliant, the rythm, the vocals and the chorus oh wow the chorus. My only disappointement there was that I was hoping to hear Alex sing in french but hey, we can’t have everything can we? All in all I think Gameshow is an absolutely brilliant record, my favourite tracks are Bad Decisions, Je Viens De Là and suprisingly Lavender. I’m sure this will change, when I listented to it in London Ordinary and Fever were amongst my favourites and Lavender wasn’t, so I’m sure once it grows on us we’ll all be able to manage are opinions and emotions a bit better! Do let me know how you feel about it guys, good or bad I want to know! Thanks again to everyone who tweeted along yesterday, I’ll be back tomorrow with the results of our competition and of course to discuss the release of Gameshow! Be ready for some Gameshow fun, I’ve loads of ideas! Tomorrow I want you all to send me in a photo of yourself with your copy of Gameshow! I’ll talk to you guys tomorrow! This entry was posted in Band News, Basement People News on October 13, 2016 by Saoirse.